Ever since we finished building our homemade light table, I have been kind of obsessed with creating new and fun ways for the kids to play and explore on it. 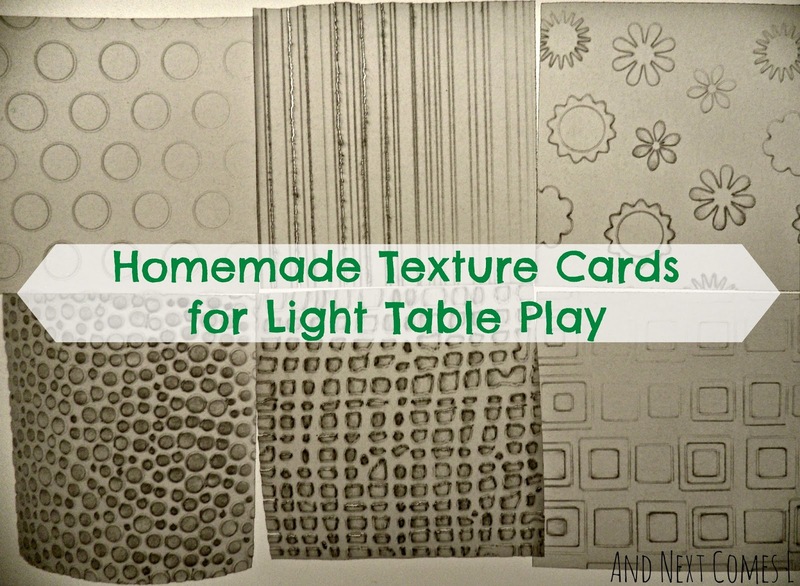 As a result, I rooted through my craft supplies for inspiration, which lead me to create these simple texture cards for light table play. They're not only translucent, but they're embossed and full of sensory goodness! These homemade cards are so simple to make, easy enough for the kids to help. It only requires a few materials: vellum, an embossing machine (I used my Sizzix Texture Boutique Embossing Machine), and some embossing folders. Just choose any embossing folders you'd like. I cut the vellum into 3" x 3" squares before running them through my embossing machine. J loves to turn the crank on my embossing machine so he helped me create all of these cards. I think that they look pretty neat on the light table and they also feel really cool. How did you make the shapes pop with color? I'm not really sure what you mean by your question. 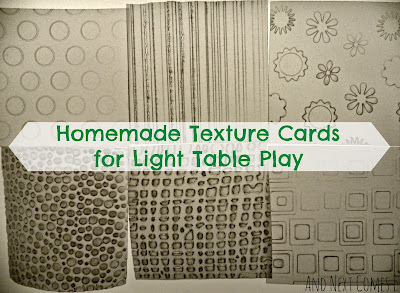 The cards are embossed, which creates a raised pattern or texture using an embossing machine. When the light passes through the card, the edges of the embossed patterns look darker because of shadows. Does that sort of make sense?